Get the most comprehensive eye exam by a medical eye doctor in Roswell, Georgia. All types and brands of contact lenses, eyeglasses and eyeglass frames including designer eyeglass frames available. Optician available for eyeglass repair. Get the most comprehensive eye exam in Roswell, Georgia using the latest technology in diagnostic and examination equipment by board certified eye doctor, Dr. Julia Bond. Eyeglasses and thousands of eyeglass frames from affordable to the latest designer fashions including rimless, metal, plastic and titanium eyeglass frames available at Eye Optique in Roswell, Georgia. Get all major brands and types of contact lenses by a licensed optician including colored contacts, rigid contact lenses, specialized contact lenses and soft contacts at Eye Optique in Roswell, Georgia. 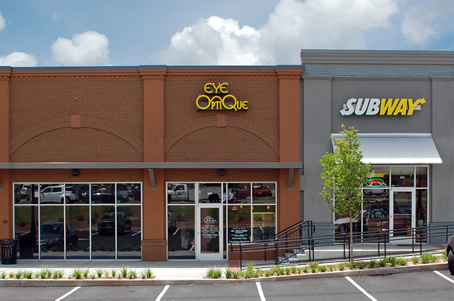 Get all of the latest designer sunglasses in Roswell, Georgia at Eye Optique. We carry the all latest fashion sunglasses including sport and performance sunglasses. Business hours and driving directions for Eye Optique of Roswell, Georgia. Patient forms for Eye Optique of Roswell, Georgia available online to print and fill out for new patients. For over thirty years Eye Optique has been the preferred eye care center for patients in the Roswell and Alpharetta area seeking personalized treatment. Between the quality of care you will receive, and the professional fittings of eyeglass frames by our optician, we are sure you’ll agree this is the best place for your family’s eye care!